Iridodialysis is the result of a tear in the iris root. It may be repaired surgically or with cosmetic contact lenses if large or symptomatic. 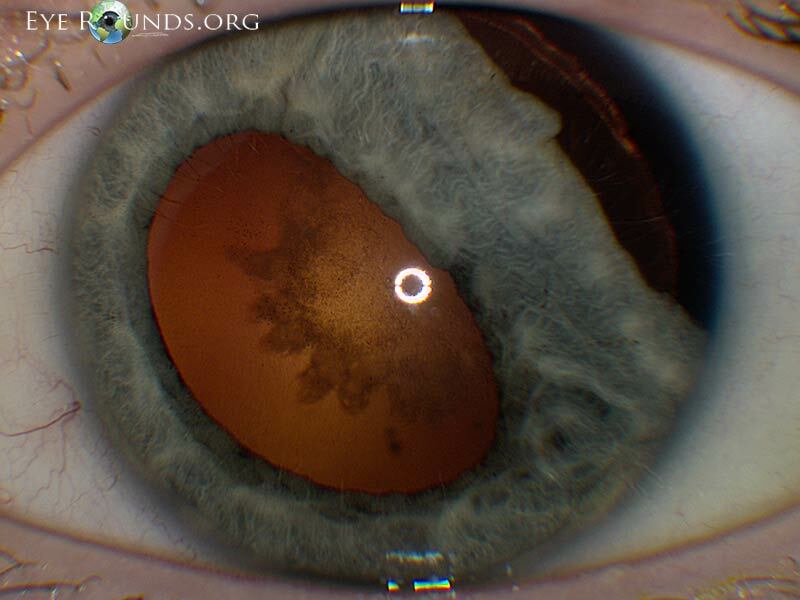 This cataract's rosette pattern is classically seen after contusion injuries. It is due to separation of lens fibers around lens sutures.